When purchasing a home, one of the most fundamental steps in the process is the home inspection. This is the time when the buyers have the opportunity to have a professional home inspector thoroughly check the home from top to bottom. Contracting with a well qualified, experienced inspector is of utmost importance. The Steller Group urges our clients never to skimp on the home inspection. It is the buyers’ last line of defense when determining if the home they are purchasing is in good condition and the right home for them. The goal of the home inspection is to provide homebuyers with knowledge on any health and safety issues present in a home. Those are the main issues that the homebuyers will then focus on when requesting repairs from the seller. In addition, the home inspection provides the buyers with a list of items that may require general repair either now or sometime in the future. Those items are commonly determined to be the responsibility of the new homeowner. The inspector will examine all major components of the house: roof, attic and insulation, electrical system, plumbing system, all appliances, windows, outlets, doors, garage, exterior grading, siding, HVAC, air conditioning and more. Homebuyers are then provided with a comprehensive and detailed report on all systems. The inspector will flag all safety issues, issues of major concern, issues of minor concern, and items in need of general maintenance. There are other inspections available besides the general home inspection. The Steller Group always recommends two additional inspections: radon testing and a sewer scope. Many home inspectors are certified radon testers and can run the test prior to the inspection so that results are completed by the time of inspection. A sewer scope is performed by a plumber at the time of inspection to check the sewer line for any cracks or off-sets. In addition, if there are indicators that warrant further investigation, a buyer may bring in a mold inspector, asbestos inspector, lead based paint inspector or any other professional that would provide an assessment of an area of concern. As opposed to realtors and mortgage lenders, home inspectors do not have to be licensed. However, most professional home inspectors working in the Denver Metro real estate market will be member of one of the following organizations: National Association of Certified Home Inspectors, International Association of Certified Home Inspectors, National Association of Home Inspectors, or American Society of Home Inspectors. As members of these organizations, inspectors commit to standards of practice and benefit from ongoing educational programs. By selecting an inspector that belongs to one of these organizations, you can be secure in knowing that he or she has industry training. 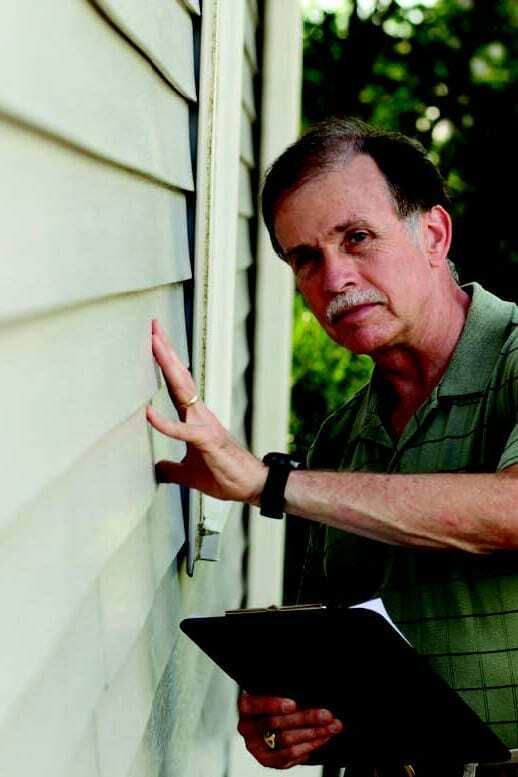 In our opinion, one of the most important part of the home-buying process is the home inspection. If you need a recommendation for a home inspector, please contact The Steller Group at 303.539.5228 or contact@StellerRealEstate.com. We do business with multiple inspectors who are experienced, trustworthy and capable, and we would be happy to introduce you to these prescreened professionals!